This entry was posted on January 16, 2014 at 1:39 pm	and is filed under Books & Media. Tagged: Business, Nelsonville. You can follow any responses to this entry through the RSS 2.0 feed. You can leave a response, or trackback from your own site. Does anyone have the names of the Wilson brothers and the location in Nelsonville? 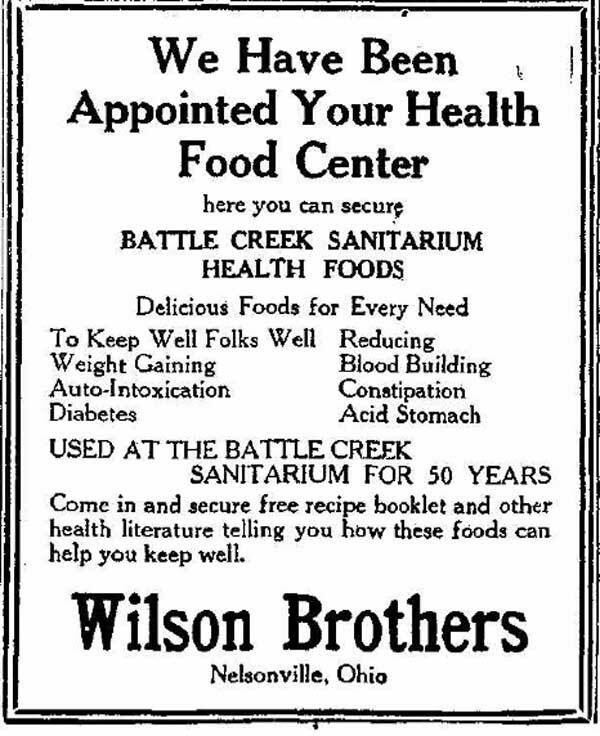 Hi Suzie, The brothers were named J. W. Wilson, Tom Wilson and Miller Wilson, after one ( or more) of the brothers returned from WW I , they bought the old Johnson Grocery on Washington St, which was actually in the Knights of Pythias building. Today that building houses a quilt shop. This info came from the Nelsonville librarian Lorinda LeClain who runs the genealogy room. there on Washington Street just a little further out from the square.